Below you can view all the homes for sale in the Norcross Hills subdivision located in Norcross Georgia. 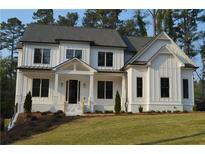 Listings in Norcross Hills are updated daily from data we receive from the Atlanta multiple listing service. To learn more about any of these homes or to receive custom notifications when a new property is listed for sale in Norcross Hills, give us a call at 404-998-4113. High School Students Have Choice Between Norcross Or Paul Duke Stem Hs. MLS#6515613. Keller Williams Realty Chattahoochee North, Llc. This Home Is Not Yet Built. MLS#6128792. Palmerhouse Properties. Expanded Kitchen With New Addition Sunroom Which Boosts Beautiful Beveled Front Custom Cabinetry With Under Counter Lighting, Ice Maker, Beverage Refrigerator And Storage Galore. Recently Added High Efficiency Hvacs MLS#6103621. Re/Max Around Atlanta Realty. 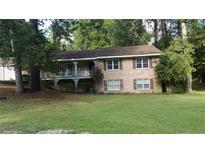 Close To Peachtree Corners Town Center. Easy Interstate Access. Great Location! MLS#6062548. Linc Realty Of Atlanta.